ST. GEORGE – Following a widespread thunderstorm over Washington County Thursday night, the Zion-Mt. 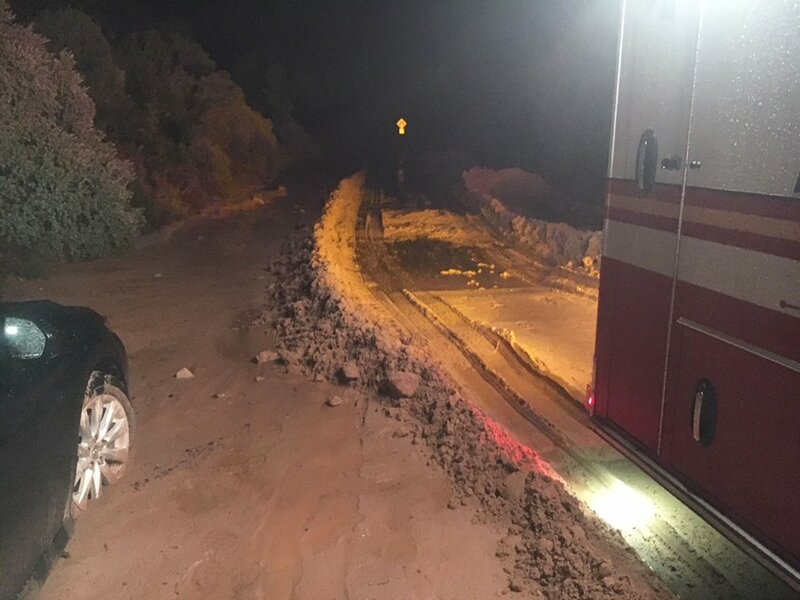 Carmel Highway remains closed from the east entrance of Zion National Park to Canyon Junction in Zion Canyon, according to a social media post from Washington County Emergency Services. If all goes well, however, the highway could be reopen Friday afternoon. Prior to Thursday’s storm, Zion National Park received 3 inches of rain over a short period of time Wednesday that resulted in flooding and landslides that occurred on the switchbacks below the tunnel on the east side of the park. A flash flood warning for Zion National Park and other parts of the county was issued by the National Weather Service shortly after 5 p.m., with the alert staying in effect for Zion National Park until 11:15 p.m. Rocks, mud and debris are mostly cleared. If there is no further damage overnight, officials anticipate park personnel completing work and opening the trail by mid-morning Friday. Currently inaccessible and closed due to extensive trail damage leading to that location. Open only to the alcove near where Upper Emerald Pools trail connects. Closed due to extensive damage. Where the Angels Landing hike starts. This trail is closed due to extensive damage in Refrigerator Canyon. Open, but closed beyond Cabin Spring due to wildfire ignition. “Where trails are extensively damaged we are looking for safe, temporary pathways to hopefully reopen them soon, but some may not have work-around options given the terrain,” according to Washington County Emergency Services. Officials expect that full shuttle routes and stops will be operational. However, trails leaving from Grotto trailhead are not open (West Rim/Angels Landing and Kayenta). Because of that, the shuttle will not be dropping visitors off at the Grotto shuttle stop. There are also three small wildfires burning within the park that were sparked by lightning from recent storms. “We hope to contain and suppress those with assistance from rainfall/high humidity/elevated fuel moisture,” according to Washington County Emergency Services. 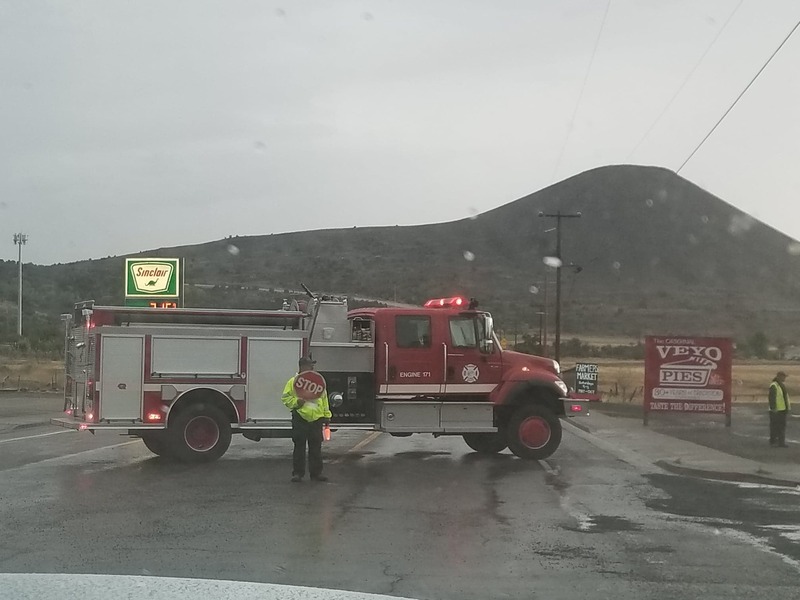 The heavier rains died down by around 7:30 p.m. with subsequent reports of flooding or threats of flooding in Dammeron Valley and parts of Hurricane. Flooding also blocked off a segment of state Route 18 for a short while at milepost 16. Updated July 13, 1:45 p.m. with most recent story on Zion National Park status.